All students enrolled in English I, II or III, and students in Algebra, Algebra II or Geometry will sit for the PARCC assessments in the spring. This test is completed online in school. The test measures students' mastery of Common Core Standards, and their readiness for college. 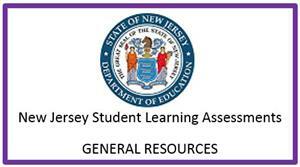 Students will be scored using PLDs (Performance Level Descriptors). The scores range from Level 2 (Partial Command) to Level 5 (Distinguished Command). No Child Left Behind dictates that students must show proficiency in English and Math by the time they graduate. Passing PARCC will satisfy that requirement. If a student in the class of 2018, 2019 or 2020 does not earn the specified cut off score for PARCC assessments, they must attain a qualifying score on another assessment such as PSAT, SAT, ACT, Military Entrance Exam in order to graduate. Students in the Class of 2021 must earn a cut off score of 4 or higher on the Algebra 1 end-of-year assessment in order to graduate, or meet all State requirements to participate in the State's appeals process. Students are therefore strongly encouraged to do their best on every PARCC end-of-year assessment when they are administered.